We are excited to announce that Mosswood Connections is a contributor to an incredible book called Learn with Play: 150+ Ideas for Year-round Fun & Learning. We think that children learn best when they are having fun. That is why we try to incorporate play in our learning activities. This book is full of activities and projects that will have kids laughing while they learn. This is a fantastic resource for parents, teachers, and caregivers of young children. With 94 co-authors, it has a huge variety of fun hands-on activities. Most of the activities use common household items making it easy to do the activities with little pre-planning or shopping. 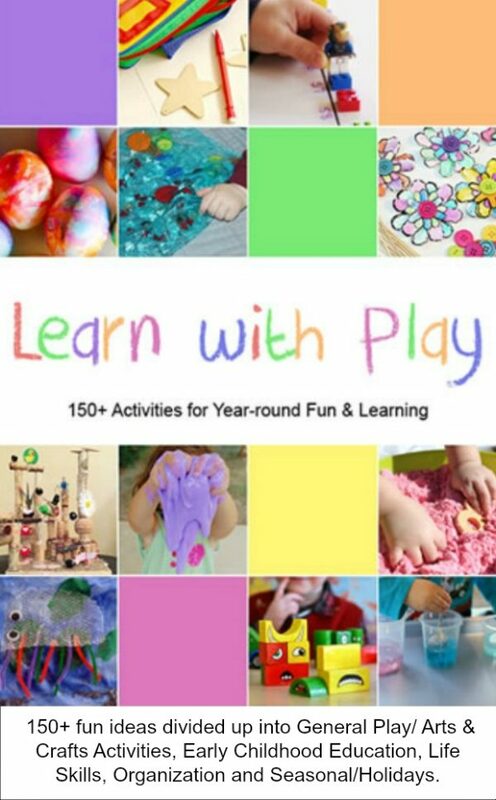 Learn With Play: 150+ Ideas for Year-round Fun & Learning includes 150+ fun ideas divided up into General Play/ Arts & Crafts Activities, Early Childhood Education, Life Skills, Organization and Seasonal/Holidays. It has an easy to follow guide to find the perfect activity for all ages. All of the activities explain the materials needed and instructions on how to play. Some activities have free printables included too! The Kindle edition is available on Amazon for US$14.95 . The book is great to have on your shelf in times when you need boredom busters or just a quick idea. 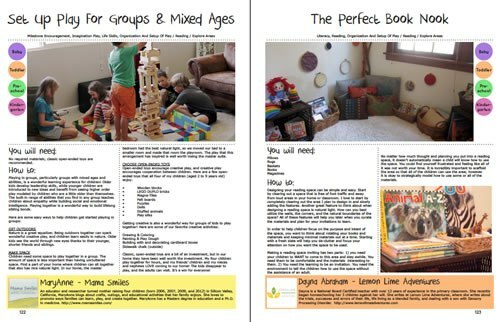 You can easily have a child flip through the book with you and pick out an activity by choosing a picture. Since most of the activities use common household or craft supplies it’s easy to find the right activity for your child! This book is a collaboration of The Kid Blogger Network members, bringing do-able ideas to every mom, teacher, and caregiver around the world! We are honored to be a co-author of this awesome book! The book is available in Kindle and Paperback from Amazon. It is also available as an Ebook! Look at that spine! Get playing with your kids today by downloading the ebook version.